Opposition to the Affordable Care Act has been a central feature of Republican politics since President Obama's signature healthcare initiative was passed in 2010. During the campaign, Donald Trump called it a "disaster," and has nominated for Secretary of Health and Human Services the leading voice in Congress on repealing the ACA. But now faced with the opportunity to repeal the law, and take away people's health insurance, Republicans may be getting cold feet. The interesting nuance here is that before, GOP governors in [states that have adopted the Medicaid expansion] could expand Medicaid even as GOP Senators in them continued to call for Obamacare’s repeal (with nothing happening). But now they will have to cast a repeal vote that actually means taking health care away from untold numbers of their own constituents. They also lack overwhelming public support for a repeal. 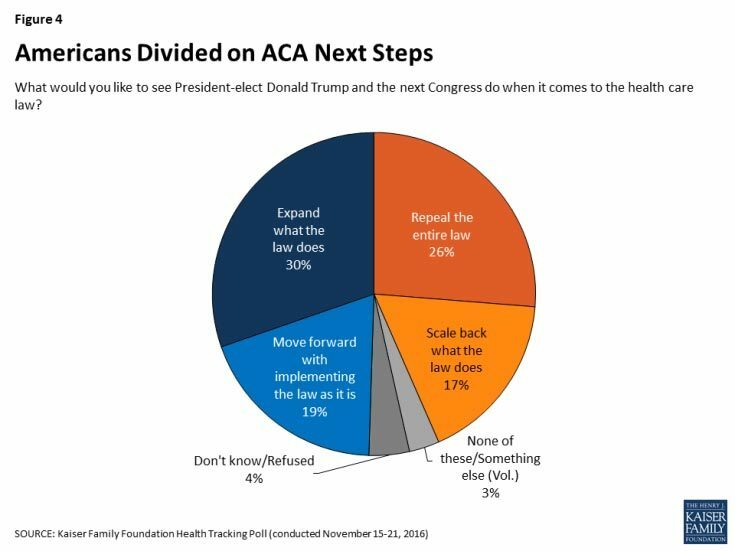 To the contrary, the latest Kaiser Health tracking poll found that only 26 percent of respondents support a full repeal of Obamacare, while 30 percent want to expand it. The poll also found that support for repeal even among Republicans has declined: "While 52 percent of Republicans say they want the law completely repealed, that share is down from 69 percent just last month, before the election." These numbers leave Republican legislators in a tight spot. Specifically, the corner into which they painted themselves.